Do You Know Anything About Me? 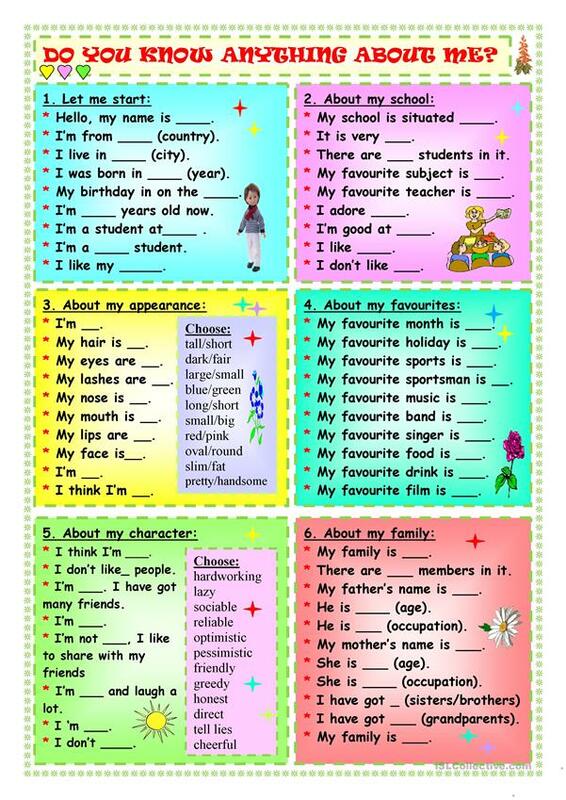 Six exercises helping students to introduce themselves and give additional information. (I have ws as Tmk939 on ESlPrintables.com). Thank you!!!! The present downloadable handout is intended for high school students, elementary school students and adults at Elementary (A1), Pre-intermediate (A2), Intermediate (B1) and Upper-intermediate (B2) level. It is a valuable material for improving your class' Speaking and Reading skills. It is focused on the vocabulary topic of People.